There is a huge leap from wanting a dog to being ready for one. This will depend largely on your living situation, lifestyle, and job. Dogs take a lot of time and a lot of care, and if you don’t think you’re ready for that responsibility, then the best thing you can do is hold off on getting a new puppy until you are. That being said, many people find they can only step up to the responsibility of owning a dog once they have one. To test yourself, ask a friend if you can dog-sit their pooch for a week or so while they are away. You can test the waters to see how you feel, how well you do and use this information to help you determine if you are emotionally mature enough to own a dog. Other factors to consider are your work schedule and your living situation. If you move around a lot and travel great distances between jobs, getting a dog isn’t a smart idea. Dogs need stability and routine, and the last thing you want is to be forced to give up your new puppy because you’re moving across the country and cannot bring him with you. You don’t have to rule out getting a puppy forever, but wait until you have your own place and have settled. If you are emotionally and physically ready to have a dog, then the next step is to choose a breed. The first step to choosing the right breed for you is to determine what your living situation and local amenities are. Large dogs need a lot of exercise and space, and as such a small apartment can become very constraining. On the other hand, toy dogs or other apartment-sized dogs are perfect for city living, particularly since a short walk around the neighborhood in the morning and perhaps another one when you get back home will be enough to keep them happy. Larger dogs need a large amount of space, but if you live in a small house on a large property, this will work just as well. If you live next to a large dog park that will allow you to walk and for them to run around this is similarly another great alternative. It’s also important to note that not all small dogs require a minimal amount of energy. Many hunting dogs are small only so that they can chase rodents into their burrows, and not to stay on your lap. These dogs require more exercise than their counterparts and, in many cases, thrive on challenges and can become despondent if their minds aren’t put to work. 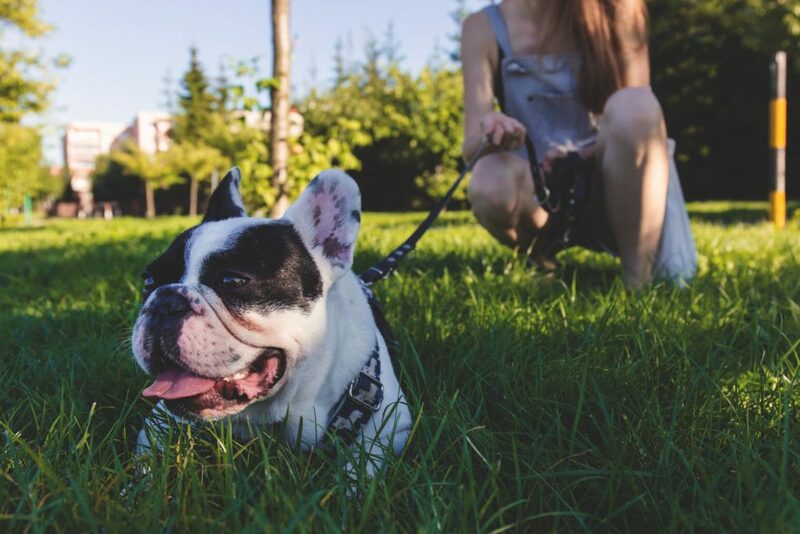 Once you know your lifestyle and living situations, and what kind of dog you can get based on those factors, it’s time to narrow it down further. Take an online quiz or ask other pet owners who are like you on what dog breed is best suited for your personality. All dog breeds have different temperaments, and it is irresponsible to get a new puppy or dog without understanding their breed. West Highland White Terriers, for instance, are cute and small, but they were bred for hunting and therefore ill-suited if you are looking for a lap dog, and so on. Researching dog breeds will help you find the perfect dog for you, based on your personality, lifestyle, and experience. Once you know the breed that’s right for you, it’s time to pick up your new friend! You might have heard the phrase “adopt, don’t shop” echoed around the Internet. It doesn’t mean that you shouldn’t get a puppy, just that you shouldn’t support pet stores who use puppy mills. Instead, opt for local breeders or adoption kennels. If this is your first dog, consider going for a puppy, as adult dogs might have suffered abuse and have advanced needs that you won’t be prepared for. Your pet’s vet is likely going to be someone that they will know their whole lives, so choose carefully which service is right for you. Going a bit further out of your way to go to a great vet like the veterinarian Mt Pleasant, SC instead of what’s closest can ensure your new friend gets the best service. When you bring a new puppy into your life, the first step is to bring him or her to the vet for a checkup. A great breeder will have already done this and will have all the shots and health diagnostics done up until you pick your puppy up. Even if that is the case, you need to visit your vet, schedule their upcoming vaccinations, and get advice on how to take care of your new puppy. Puppies, for instance, need to eat several times a day in order to keep their rapidly growing bodies fed but not to overload their stomachs. Puppy food is important as well, as it has a higher concentration of calorie that will help support your puppy’s growth. They will also need to play exercise, and learn. Training needs to be done immediately, and you need to be consistent with your training each and every day. Once you bring your new puppy home, you are entirely responsible. Follow your vet’s advice and build a great routine for your puppy to thrive in and you’ll be a great pet parent in no time.